Are you looking for a S CLASS? Then have a look at this one painted in Silver with 94000 mi on the clock incorporating a 5500 cc Petrol motor and Automatic transmission. In order to book a meeting for a more in depth chat, call or visit the knowledgeable staff. 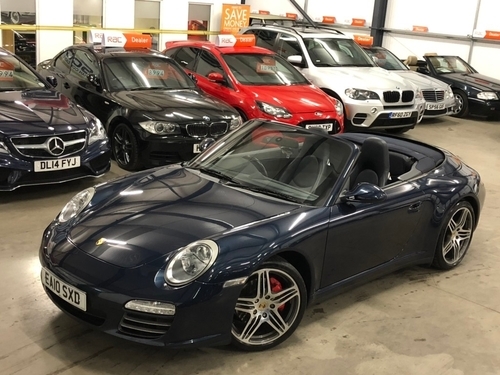 Giving its new privileged owner a brilliant and luxurious mode of transport, this Porsche is available in the shade of Blue, has 45000 miles on the dash and comes fitted out with a 3800CC Petrol motor and Automatic transmission. Want to enquire about this 911 3.8 997 CARRERA 4S CABRIOLET PDK ? Visit Sarah Cox located in the Newark-on-Trent area today. 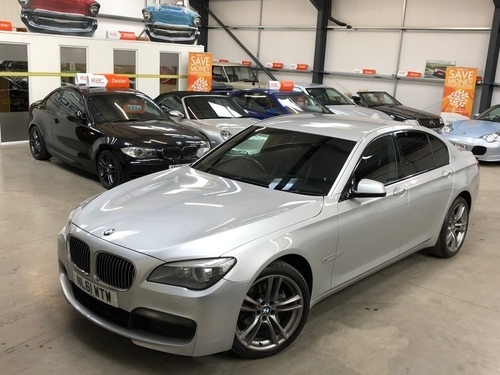 For sale at the full price of £11,911 or with the possibility to buy using finance with achievable repayments from £274.79 pm, this Silver BMW has a 3000CC Diesel motor with Automatic transmission and it has 106000 mi on the dash. This 3 SERIES is available in Newark-on-Trent. Get in touch with this dealership to find out more by having a chat with their team. 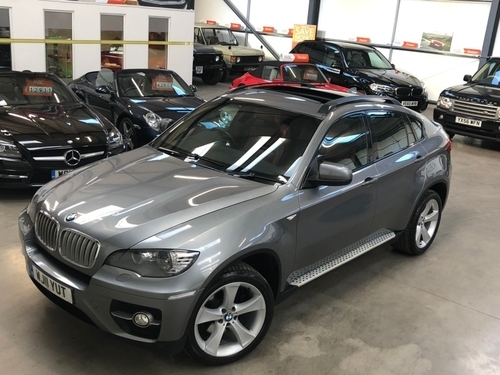 Available to view at your request is this 4.4 SD V8 VOGUE SE SUV with 47500 miles on the clock, Automatic gearbox and a 4.4 litre Diesel motor. At only £42,911, a RANGE ROVER 4.4 SD V8 VOGUE SE SUV such as this one might not be around for long, so do not miss out on this bargain. Contact us to get more information as soon as possible. Be the new owner of this car with Automatic transmission and a 3000 cc Diesel motor. This second-hand model has clocked up 94000 miles. By making use of the dealer's bargain credit offers beginning at only £390.14 per calendar month, you can become the new owner of this motor. Get in touch with Sarah Cox in the Newark-on-Trent area to choose an instalment plan that's tailored to your needs. This vehicle has got a 2.0 L Diesel engine with Automatic transmission. On offer in a Silver finish. 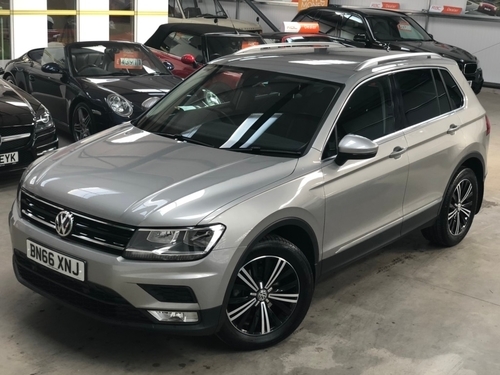 With manageable repayments available beginning at only £456.47 per calendar month, this Volkswagen could be all yours to enjoy in no time. Just speak to one of this dealership's expert advisers in Newark-on-Trent to find out more. 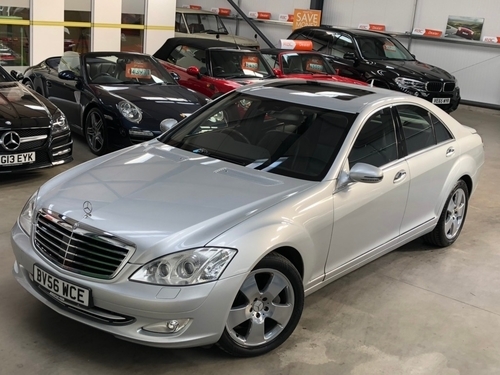 With a used car like this on sale at such a fabulous price, and with manageable credit options available to suit you; becoming the owner of this car may be a test drive away. Go and see Sarah Cox now and have a chat about test-driving this CONVERTIBLE. Now on show at our dealership located in Newark-on-Trent is this Red 2 door, 911 that's fitted with a Manual transmission and 3600CC Petrol engine. 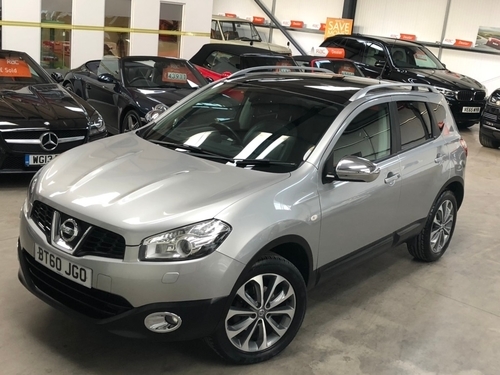 This vehicle offers you a wide array of specifications and features: At your request, the helpful team can create a purchasing plan that has evenly spread and reasonable payments which could start at around £920.76 per month. Get in touch with Sarah Cox in the Newark-on-Trent area and learn more. Become the new owner of this A4 equipped with Manual transmission and a 2.0 Litre Diesel motor. This used model has 99000 miles clocked-up on the dashboard. 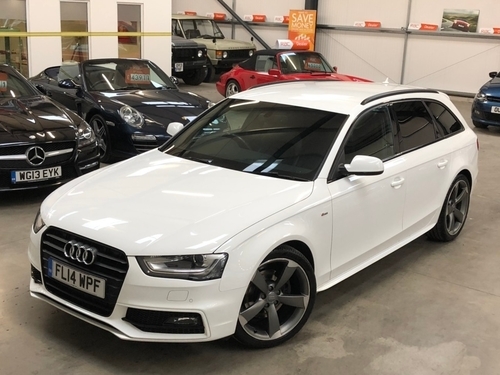 Act fast and get this unmissable bargain while it's still available, contact the customer service office at Sarah Cox and take the first step in buying this Audi as soon as possible. 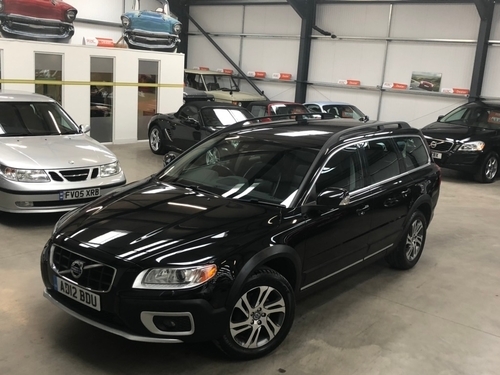 Available in Black, this XC70 contains a 2.4 Ltr Diesel motor with Automatic transmission and has 148000 miles on the dash Is this car the one you're looking for? Or would you like to find out more? Call Sarah Cox as soon as you can. 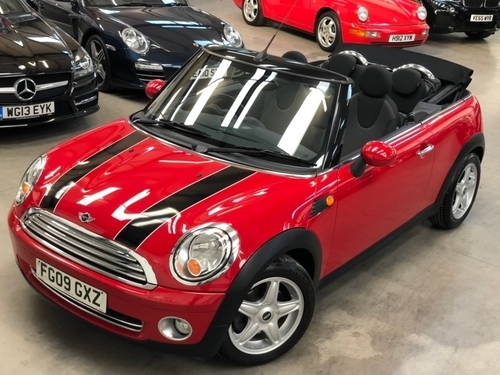 Get behind the wheel of this CONVERTIBLE 1.6 COOPER (CHILI) which features a 1.6 L Petrol motor with Manual transmission. This second hand model currently in stock at our dealership in Newark-on-Trent is available for only £2,450. 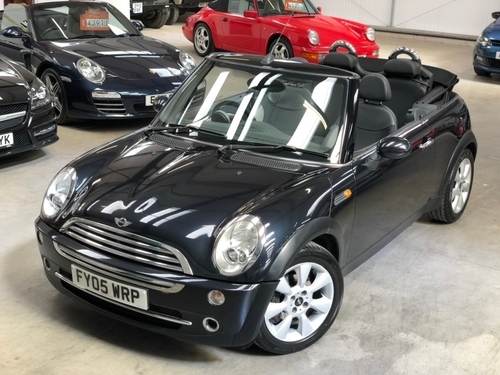 If you'd like to get any further information about this Mini, don't delay to get in contact with us or go over and see one of our helpful advisers. The Nissan QASHQAI is one of the top ten, best selling cars in the United Kingdom. This second hand one has 63000 miles on the dash and has been finished in the tone of [colour]. Get down to Sarah Cox in the Newark-on-Trent area now and have a chat about test-driving this second hand car. This 2 dr ASTRA Coupe has a Petrol 2.0 ltr engine, Manual transmission and 80000 miles clocked up on the dashboard. 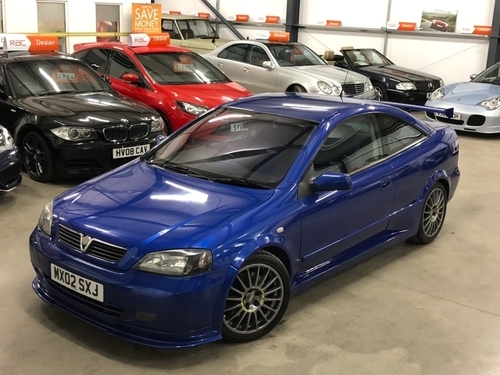 This particular Vauxhall ASTRA Coupe comes finished in Blue. Find out what this Vauxhall ASTRA Coupe is like to drive, just get in contact with the experienced staff members at Sarah Cox. 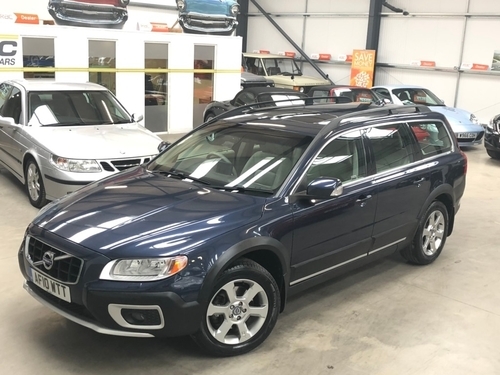 On offer and ready for you to drive home is this second hand Volvo XC70 2.4 D5 SE GEARTRONIC AWD . This particular car contains a 2400CC Diesel motor with Automatic transmission and it has clocked-up 98000 miles. This Estate used car is now available on the market at only £8,450. Act fast to make it yours by emailing or calling one of our friendly advisers as soon as possible. This SUV has got 36500 miles clocked-up on the dash and has a 3000CC Petrol motor with Automatic transmission. This particular second hand one from this dealership comes finished in the shade of Silver. 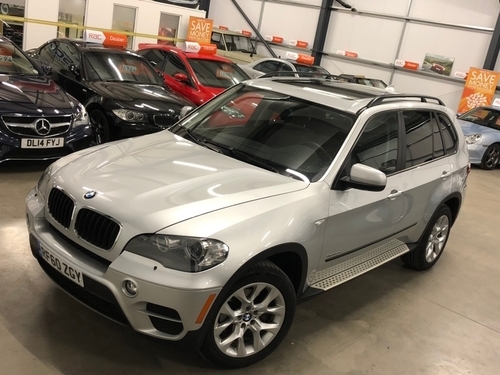 This BMW X5 is available for sale with the possibility to purchase with a payment plan commencing from only £459.35 per month. 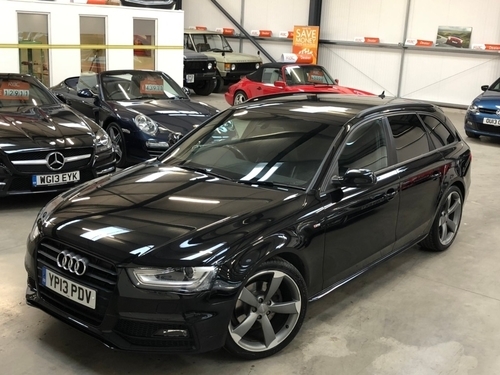 In the tone of Black, this 2000 CC Diesel Audi A4 AVANT 2.0 TDI BLACK EDITION AVANT with Manual transmission is currently available for viewing. Simply pick up the phone or by drop in and have a chat with the sales team at Sarah Cox to get full details and to schedule a test drive. 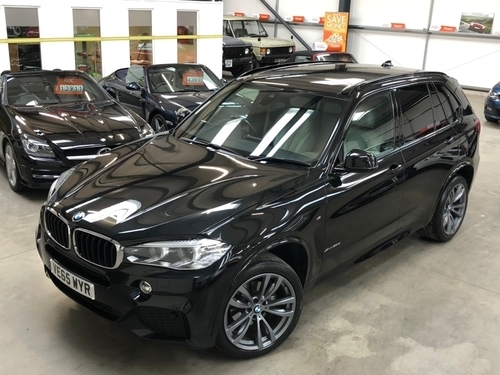 Finished in the shade of Black, this X5 3.0 30D M SPORT STEPTRONIC XDRIVE (S/S) has a 3.0L Diesel motor with Automatic gearbox and it has 75000 miles clocked up on the dash. Take a test drive in this BMW X5 and find out what purchase options are at hand. Call or email the helpful team at Sarah Cox as soon as possible. 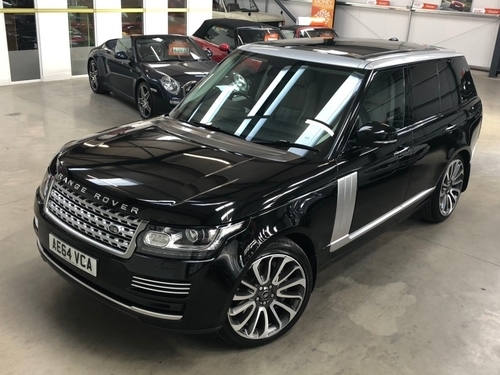 On display at this retailer's showroom in Newark-on-Trent is this RANGE ROVER SPORT 3.6 TD V8 AUTOBIOGRAPHY SPORT LE in Black with a Automatic gearbox and 3.6 LTR Diesel engine. 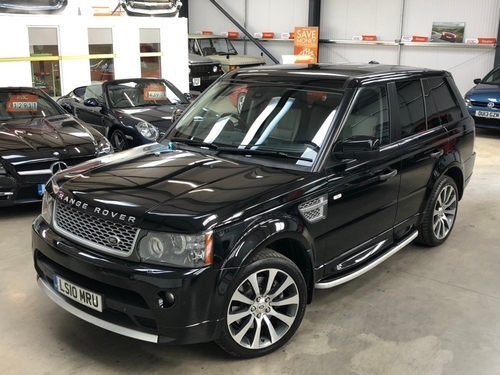 See what this RANGE ROVER SPORT 3.6 TD V8 AUTOBIOGRAPHY SPORT LE is like to drive, just call or visit to have a chat with one of the helpful advisers at Sarah Cox. Showing 1-18 of 25,572 items.